Click on the Masters menu, then select Profile. 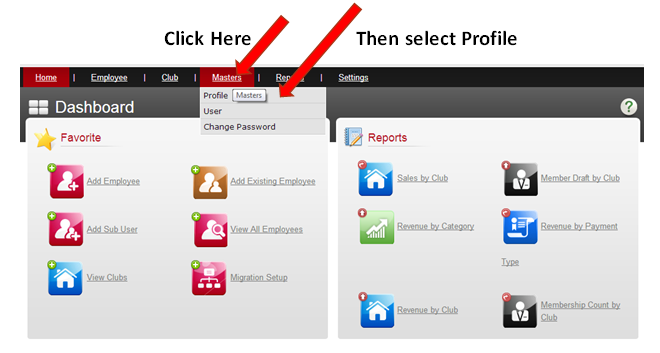 Select whether the Profile Type is for the Ownership Entities or Club Profiles. Select whether this profile is to be Active or not. Set the security permissions as you wish for this profile (anywhere there is a check mark, a user will have access if they are in this security profile). Click Save when done. NOTE: The first entry (either OE Permission or Club Permission), is the master setting. 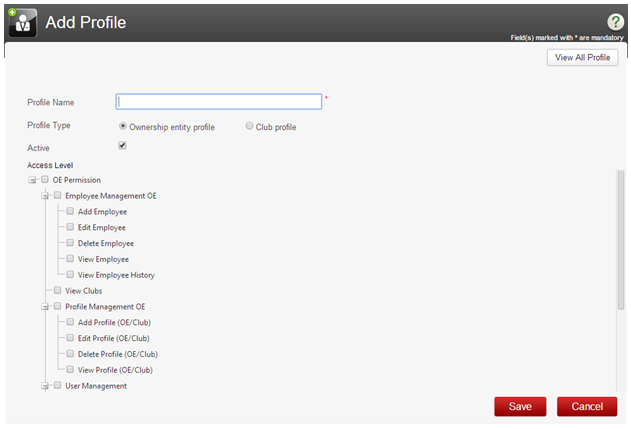 Checking this box automatically checks all other boxes, and gives the profile full access. Because there are so many program areas in the list, it is often helpful, when creating or editing a profile, to check this box first, then uncheck any boxes where you do not wish the profile to have access.